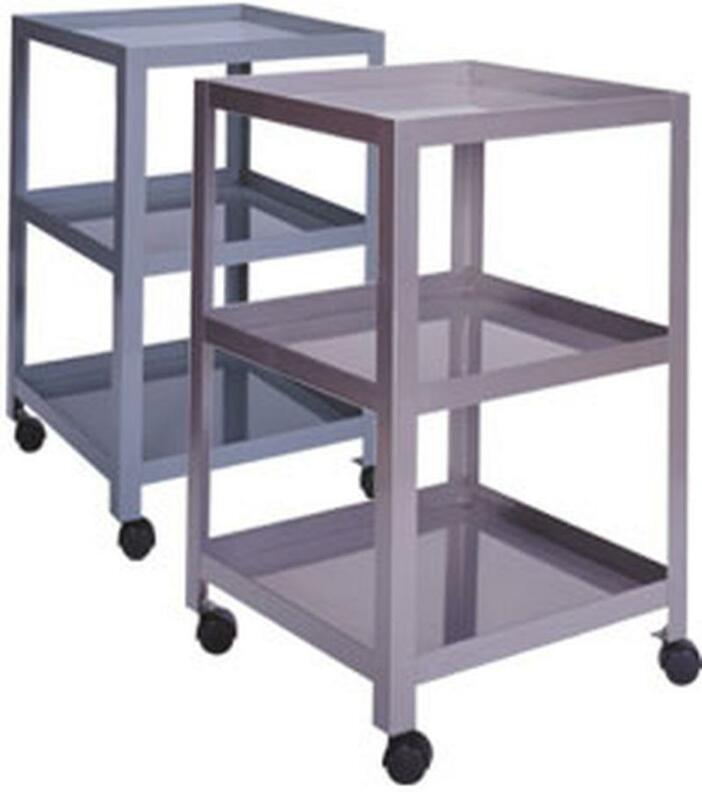 The tool cart is a light-duty mobile unit that features three shelves with an outer lip that keeps equipment and parts from falling off the cart. 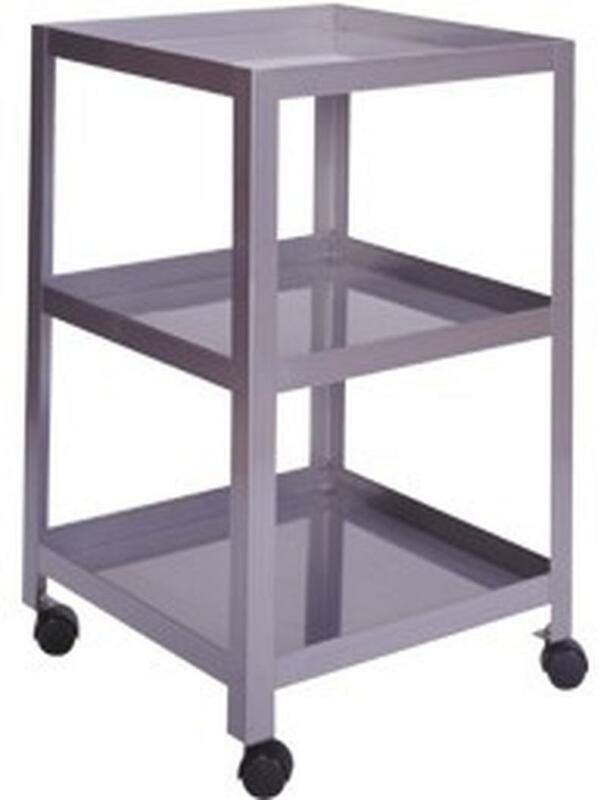 With a fully welded construction, the tool cart is available in stainless steel and painted steel. Both versions are 20" x 20" x 32-1/2".